As a multidisciplinary artist, Snow uses different mediums and supports. Each work results from preliminary studies drawn with pen or pencil and which sometimes can amount to 20 sketches. Snow sees her work as a constant play between order and chaos, logic and emotion. She combines playful shapes with bright colour, organic gestural lines, geometric and linear forms. Aesthetically, she wants the painting to look as if it “just happened” and paints in such a way that the brushstrokes disappear and the layers become imperceptible. She has a strong inclination to create something which looks instinctive and effortless. In this recent work on paper, Snow combines convex and concave shapes, working with the interplay between positive and negative space. The negative space between each shape is simply a reserve line, such is its thinness. Her desire is to imbue her shapes with a playful, lively quality. 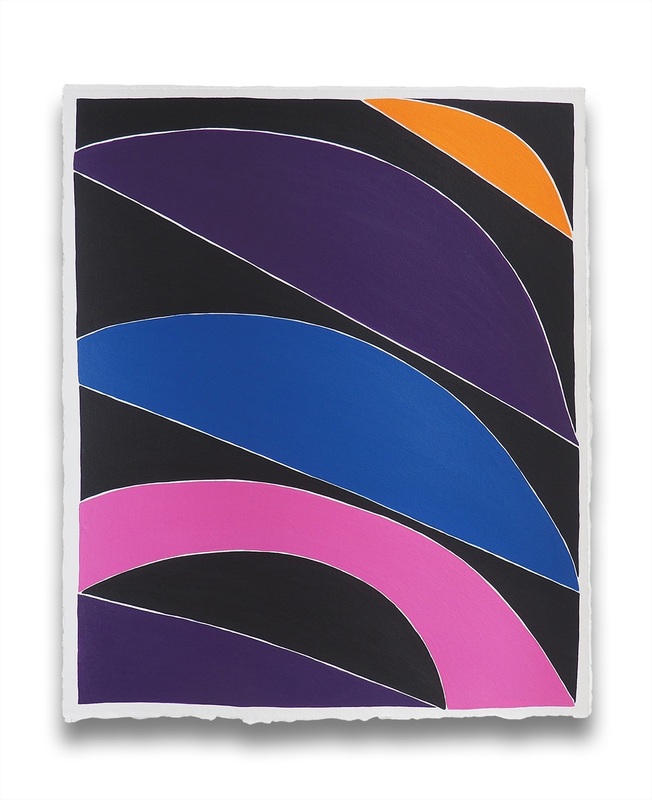 Jessica Snow is an American abstract artist whose paintings and drawings are distinguished by colourful and playful geometrics. A desire to make each new painting better than the last one continuously inspires the artist to make a painting that rests lightly in the world, a surface filled with metaphorical light, air, color, uplift and freedom. She is based in San Francisco. "The colors and shapes of my work should hopefully make that person feel more at home in this world. If the painting succeeds in doing that, then I have accomplished something quite wonderful indeed". The artist earned her BA in Art Studio at the University of California, Davis in 1988 and her Master of Fine Arts at Mills College, Oakland (CA) in 1996. When she arrived at UC Davis as a freshman, she began taking art classes in addition to other classes in the humanities, and from that point on, she was always making art. Additionally, she moved to Paris to pursue her studies in film theory but ended up visiting museums all around the city every day. Although she did consider a more scholarly route, she realized that being an academic was not for her-she was fundamentally an artist. Later she attended the Skowhegan School of Painting and Sculpture for a summer and then went to Mills for graduate school. The artist currently teaches painting, drawing and art history at the University of San Francisco. As a multidisciplinary artist, she uses different media: when working with paper, panels or walls, she will employ acrylics while she will paint with oil on canvas or linen. She also recently experimented working on Dibond, a lightweight aluminum panel where she will combine both oil and acrylic and sometimes will use a black fine-point pen when drawing on the surface. Each work results from preliminary studies drawn with pen or pencil and which sometimes can amount to 20 sketches. Aesthetically, she wants the painting to look as if it "just happened" and paints in such a way that the brushstrokes disappear and the layers become imperceptible. She has a strong inclination to create something that looks instinctive and effortless. She prefers her paint to be as thin as possible while still holding color so that the light of the white surface it sits on will suffuse and enhance the color. She juxtaposes colors thoughtfully using as little paint as possible to get the desired effect-nothing more, and nothing less. 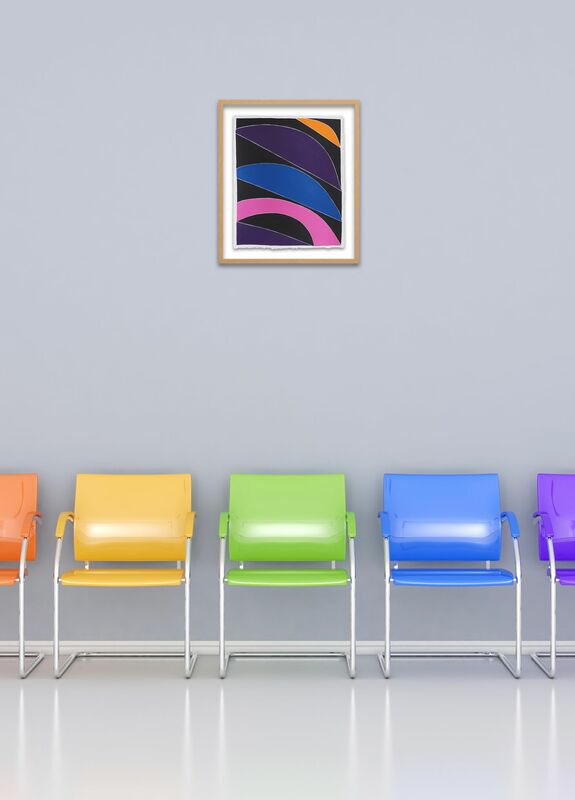 Structure, form, colors and shapes are all fundamental in Jessica's practice - she combines playful curved, geometric and linear forms and shapes with bright color. However, colors aren't arbitrary in her work, they hold visual weight, heaviness or lightness, and after doing a preliminary drawing, she tries to get the color to do the same thing visually as in the monochromatic drawing from which she is working. "I see my art as being continually at play between order and chaos or between systems that work and those that breakdown. That seems to be how my mind works...between order and chaos, between logic and emotion". Going to the museums in Paris, while living there during her studies, helped her a great deal to understand the language of painting, the particularities of each artist's syntax. She spent countless hours in front of the paintings by Cézanne, Manet, Matisse, and van Gogh. 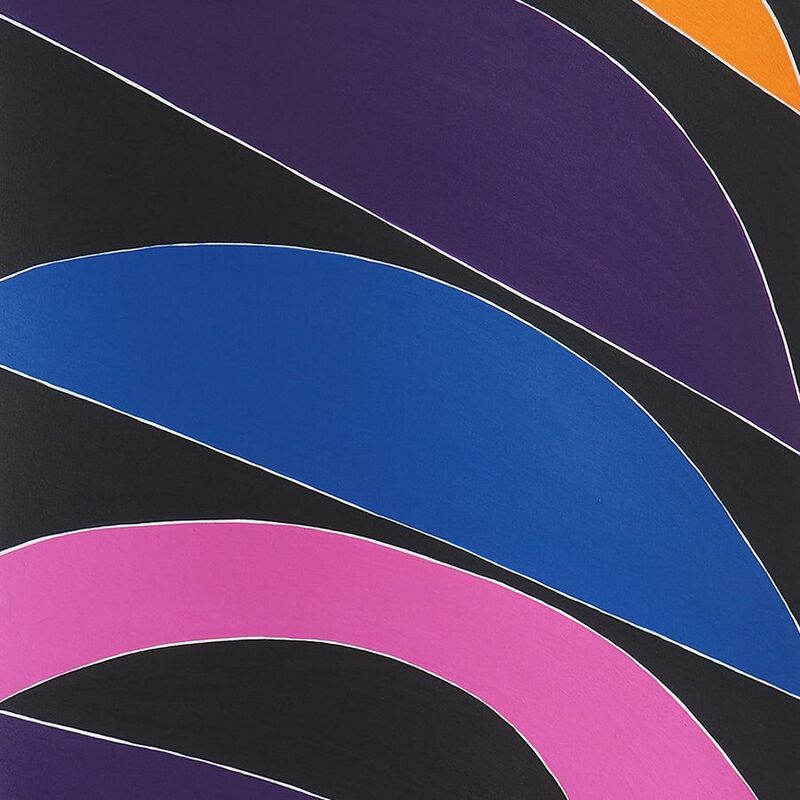 Her visual art influences include Sophie Taeuber-Arp, Sol Lewitt, Luciano Fontan and Ellsworth Kelly. In search for sources of inspiration, the painter traveled numerous times to London, Amsterdam, Madrid, Berlin and Florence where she was fascinated by the San Marco frescoes of Fra Angelico. Now, living in San Francisco, she travels most frequently to Los Angeles or NYC to look at art. The SF-based painter has spent years perfecting the art of abstract painting and creating striking pieces that were on display in many solo exhibitions throughout the United States. Her paintings have also been featured in various group shows worldwide including Australia, the Netherlands, France, and Germany.